One of the most visually stunning roofing options, architectural roof systems are also one of the most technical and difficult to install. Which is exactly why you need a team of experts to ensure the job gets done right and on time. Our experienced installation team will guarantee that no detail of the job is overlooked and that every piece is exactly how you pictured it – perfect. Able to stand the test of time, architectural roofing options are excellent choices for homes and buildings exposed to extreme weather conditions. 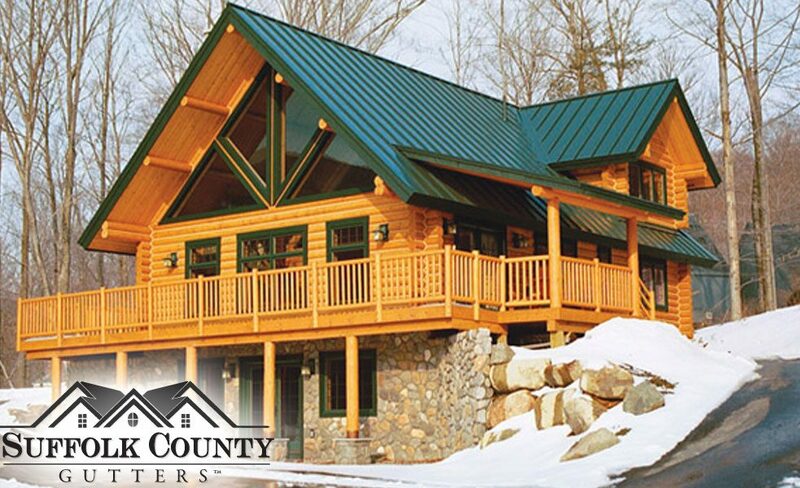 The steep slope of most architectural roof systems is ideal in areas with heavy rain fall or in locations that accumulate lots of snow in the winter. High temperatures? Your metal roof will withstand the sun’s harsh rays 365 days a year. Needing a roof for a wood structure? Metal roof architectural systems are your number one choice. Wanting to keep the architectural integrity and intricacy of your home or building visible? Whether it’s a snap-lock or a mechanical seamed metal roof, we are the best in the area for professional installation. From beginning to end, Suffolk County Gutters will guarantee your satisfaction. You will love your new roof!